By Michael Poh in Mobile. Updated on November 29, 2018 . Since our last post on 20 retro video games you can play on the iPhone, we have done some digging and have turned up 10 more old school video games that you can play on the iPhone. This group of games may bring back a strong sense of nostalgia as they are some of the biggest games early gamers spent their afternoons on. These were the games you played when if you find a game get stuck, all you had to do was take out the catridge card and blow the dust out before slotting it back into the console for a second run. Apart from the nostalgia evoked from these retro games, they are still fun to play as the fundamentals that attract gamers exist within their gameplay. These ideas, and game rules were crystallized during the old school period which build the base for today’s games. Not surprisingly, with more mobile devices offering greater gaming capabilities, it’s worth giving these old games another run, for old time’s sake. If you’re not into action-packed retro games and prefer to go with the slower paced puzzle-solving adventure, then go for the Monkey Island series. The series debuted in 1990 with the ‘The Secret of Monkey Island’, and was a successful point-and-click graphic adventure game with funny dialogue. When it comes to adventure games, exploration is the primary draw. In Monkey Island you find clues to help you solve puzzles. Hints will appear every time you shake your iPhone (in frustration, I suppose?). The slow-paced nature of the adventure game also means you don’t have to get yourself all psyched up after playing it for a while, unlike action games. There’s an iPhone remake for the second installment (Monkey Island 2: LeChuck’s Revenge) as well but you might want to give the first one a run first. Duke Nukem 3D will take you back to how first-person shooter games used to be. Expect a sense of nostalgia wen you start loading and nuke-ing. The remake version of the game maintains its graphics from back in 1996. If you have never played the game back then, you will laugh at the tongue-in-cheek, macho and corny remarks Duke makes. One evident change is the smaller screen for gameplay. It poses a challenge for controls which the new gameplay makes up for by allowing you to move the buttons (for moving, shooting, jumping or kicking) around rather than fix it to one side of the display. With that settled, prepare yourself for total meltdown! One of the best role-playing games around, Final Fantasy will be releasing its fourteenth instalment and the storytelling is still alive and kicking. For fans of the original Final Fantasy game released in 1987, you’ll be glad to know that the story remains pretty much the same. The good news is that this iPhone remake of the classic game has improved the original graphics! Control-wise, it may get a little awkward with the touchscreen versus the directional pad for the game. Nevertheless, once you get pass the initial learning stage and got used to them, you’re be immersed in the game for hours to come. Ready to explore towns and dungeons, level up your character and slay some bosses? Beat ’em up (or Brawlers) used to be huge during the 80s’ and early 90s’. The game concept is self-explanatory from the genre; you just beat the hell out of everyone! And none does it better than this gem. Owners of handheld devices like iPhones will enjoy such condensed gameplay when they’re commuting or waiting for someone. As with some iPhone remakes, graphics are enhanced from the original Double Dragon video game released more than two decades ago. 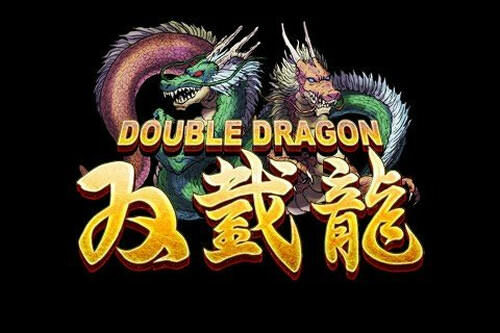 To maintain the trademark co-op two-player mode for Beat ’em ups, this remake allows you to connect and play with your buddy via Bluetooth. How do you control your character without the classic joystick? Well, there’s the virtual controls interface. The sad thing is that it takes up a large area of an already limited screen size. If that doesn’t bother you, start downloading to save Marian from the Black Warriors gang. Although this is not a remake of an actual retro game, it is a based on the view from top, avoid obstacle and collect power-up racing type of gameplays that we so ‘used’ to love so much (and probably still do). In fact this iPhone game app is developed by the same developer that brought you the classic Amiga racers, Nitro (by Psygosis) and ATR (by Team 17)! Here’s how the game goes: you will need to get at least the third place in each race to progress to the next track (there’s a total of twelve tracks). You get to choose from a total of six cars in the game (three you can unlock via in-game purchase) that carry different specifications. The game also has very elementary controls: left, right and up (accelerate). Each race lasts for only a minute or two, so it’s perfect for short gaming sessions. This game character is synonymous with the golden age of video arcade games. And even today, Pac-Man is still widely recognized as the arcade game to ‘rule them all’. First released in 1980, Pac-Man became an instant hit among video gamers of that time. This simple maze game is just so addictive and incredibly hard to resist. The iPhone app stays close to the gameplay of the original Pac-Man video game. To control the character, you can choose either a virtual joystick or use your finger gestures to navigate your favorite yellow chomping character around the maze, chasing or evading the ghosts. You play Sonic the Hedgehog and spin your way through levels, collecting rings, beating enemies and obstacles. To spice things up a little, you can also get other items such as shields, invincibility and speed shoes to aid your progress through the levels. Sonic CD was a top-selling platform video game that was released in 1993 for Sega Mega-CD exclusively. For the iPhone remake version, the simple control scheme of the original game is translated into two corner-sitting buttons – the left for directions, the right for jumping or spinning (hold down). Along with great soundtracks and sharp graphics, this highly acclaimed side-scroller remake is definitely worth a download. The remake of the popular shareware in 1993 (with the same title), Retro Pinball for iPhone will bring you back awesome memories from the early 90s’. Once you download the app, you to choose from three free tables. In-app purchase is required if you want to try the other tables. You are greeted by retro typefaces, music and pinball sounds the moment you reach the main menu. The all-too-simple controls for the game also bodes well with iPhone because you need only control the two flippers. Tapping the left half or right half of the screen will flip the flippers accordingly. Only Tetris can make you very happy to see a straight four-block stick. Old-school Tetris addicts would know what I am referring to, but once you start playing, you may well know too. This tile-matching puzzle remake for the iPhone may seem a lot more brightly colored and fanciful (each individual piece is in a different color) than the original 1984’s Tetris created by the Soviet Union. They made some changes to the traditional controls for Tetris so as to facilitate playing on a touchscreen device with a small screen. There’s a One-Touch game mode. Each new piece that comes in stays at the top of the screen until you tap on one outline that the piece could fit or until it falls right down the centre when the time runs out. Once you tap at one of the outlines, the piece automatically goes there. If you don’t like this new mode, you can always play the normal mode where as the tile falls, you tap to change the position of the pieces and drop them by sliding your fingers down the screen. Have any other retro game apps you want to suggest to the gaming community? Have your say below, then check out the Evolution of Video Game Consoles and 80 Beautiful Video Game Wallpapers.